Organizations face a deluge of data from more and more new sources, especially in the Cloud. Existing integration solutions often require expensive custom coding that’s purpose built; but rigid and disposable. A change in business objects or swap out of new solutions often require brand new investments in integration. SnapLogic solves a key piece of the Cloud integration problem with modern, pluggable, and reusable pieces of code called Snaps. Figure 1. 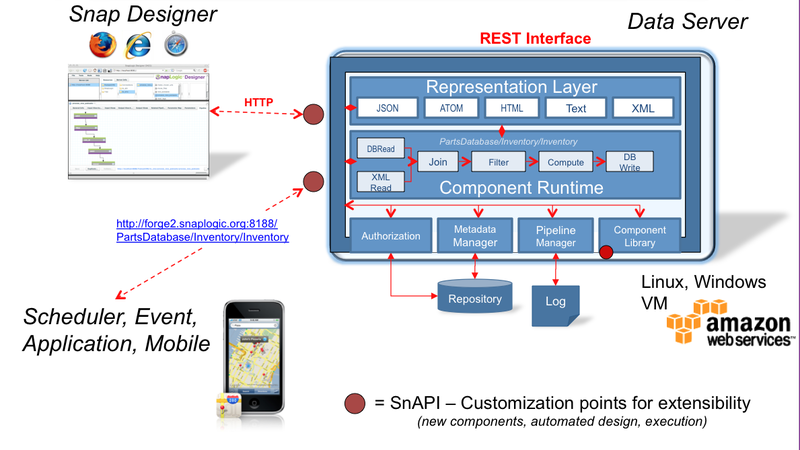 SnapLogic DataFlow Server Provides A Data Integration Platform Through Open-Component APIs and RESTful ARchitecture. Gaurav Dhillon, the former Founder and CEO of Informatica, founded SnapLogic with Eyal Shavit, previously of Mevio, Macrovision, and Yahoo! Game Store in 2006. It appears he could reinvent the integration market for this next generation of software. To date, SnapLogic has raised $4.8M in funding from Andreessen Horowitz, Maples Investments, Google Vice President Brian MClendon, Epinions co-founder Baval Ravikant, and Gaurav Dhillon himself. Successful adoption of SaaS solutions have transformed usage from purpose built point solutions to integration into mission critical processes. Increased SaaS and Cloud adoption in the enterprise does not mean architectural standards go away. In fact, organizations must re-prioritize their overall enterprise architecture strategy and include Cloud/SaaS integration as a key enabler. The goal – move beyond one-off solutions and embrace a more agile and longer term solution. Are you challenged trying to manage your integration? 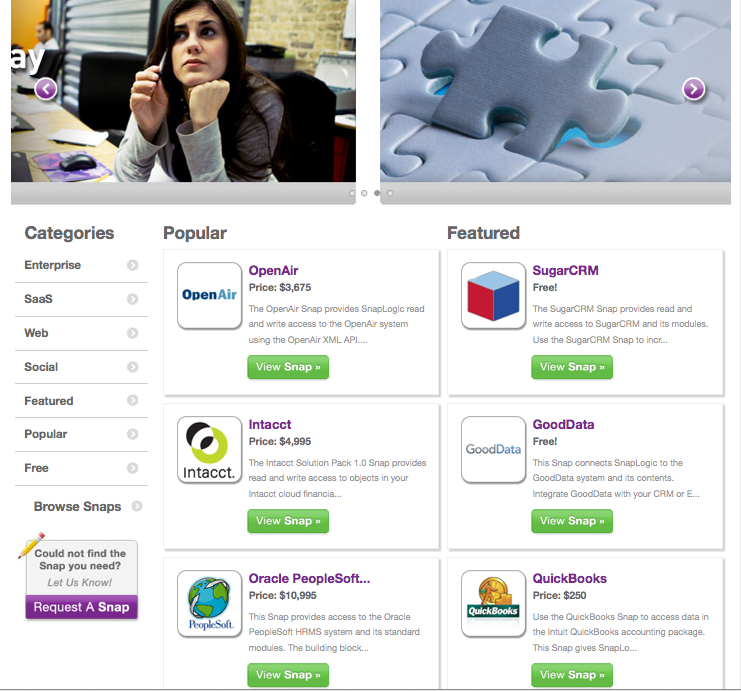 Have you tried SnapLogic? As a prospect or customer, what limitations do you see? Have you tried Boomi, CastIron Systems, Informatica, or Pervasive Software? How do they compare? Add your comments to the discussion or send on to rwang0 at gmail dot com or r at softwaresinsider dot org and we’ll keep your anonymity.